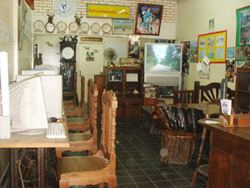 Somboon Tour was founded with allowance from Tourism Authority of Thailand in Northern Part District 1 and got the tourism certification on September 24, 2001 established and administered by Mr.Preecha Srisawad. Since 1989, he drove a taxi in front of Pornping Tower Hotel. After experienced in responsibility for tourists for many years, he really knew what the customers really wants from traveling. Then, in 2001, he had his own tourism business in a small office near the front gate of that hotel beside Night Bazar (see in a map) at 40-42 Charoenprated Road, Tambon Changklan, Amphur Meung, Chiangmai under the Thai company name “Somboon Tour. 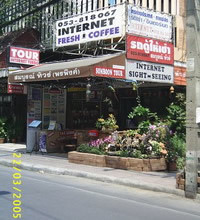 After that, in 2003, the company moved to the opposite road of the former office, located at 23/4 Charoenprated Road, Tambon Changklan, Amphur Meung, Chiangmai, with the tourism business, rental van and car provided a driver and also internet service served with fresh coffee to facilitate the tourists and customers. Now, we have many drivers skillful in the mountainous route and other northern level grounds. We never have any accident with our tourists even once. 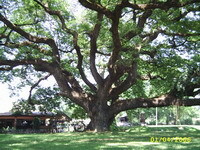 Thus, we get a lot of package tour reservation, both family and group every years. Somboon Tour has the strictly rule that drugs and any stimulants are prohibited and gambling is not allowed too. We serviced on time and honestly like the Thai proverb that “The honesty remains everlasting”. All officers must be polite to our customers. These make us successful in this field of business.